Good news for lovers of the outdoorsy retailer L.L.Bean: There's a new Mastercard on the market that will help you earn rewards on your favorite L.L.Bean clothing, gear and home décor. Now, this isn't the first co-branded rewards credit card for L.L.Bean, but a recent acquisition has changed the kind of card it offers. Although Barclays had offered a co-branded Visa credit card for nine years, American Banker reported that Citigroup purchased the $1.5 billion L.L.Bean co-brand credit card portfolio from Barclays in June. 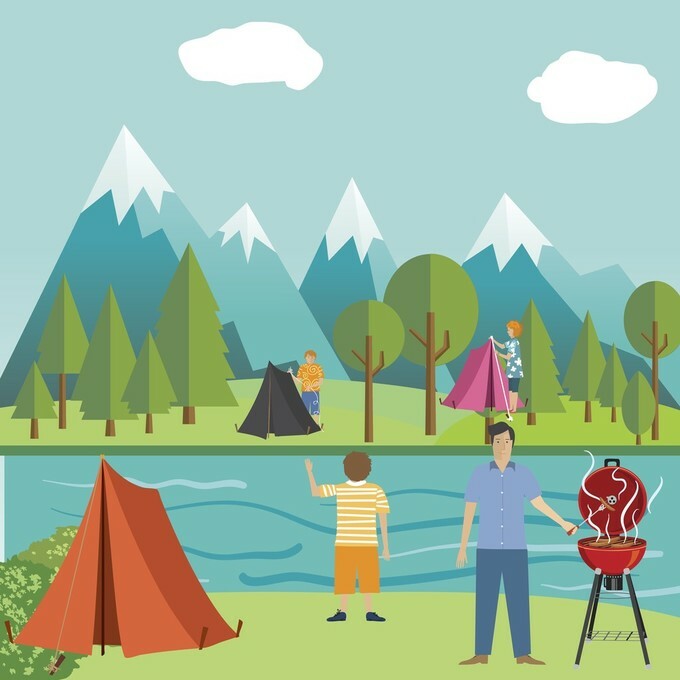 "L.L.Bean is much more than a retailer, it’s a lifestyle brand that has redefined customer loyalty and we’re thrilled to partner with them to deliver a card program that extends this lifestyle," said Craig Vosburg, president, North America, Mastercard, in a statement. "In partnership with Citi, we’ll bring the benefits and experiences that allow L.L.Bean enthusiasts to explore their passion for the outdoors with the advanced technologies that let them pay when, how and wherever their adventures take them through worldwide acceptance." Customers of the Barclays card will automatically be switched over to the new Mastercard and will be able to start earning rewards under the new rewards structure. 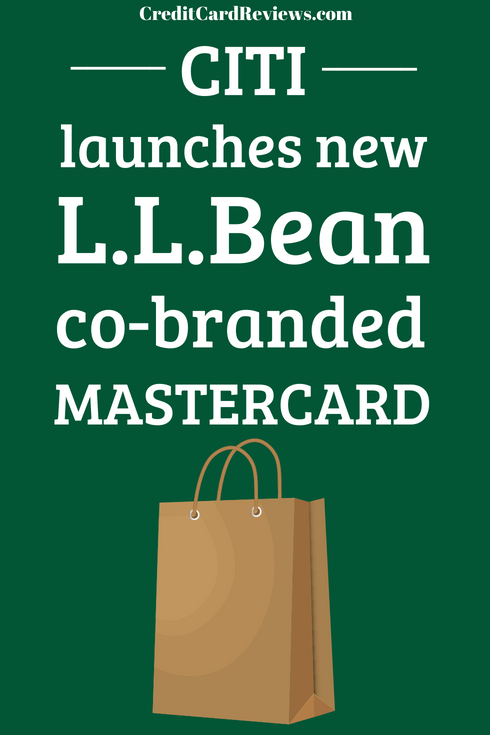 The new Mastercard is also taking new cardholder applications at L.L.Bean's website. The Citi co-branded Mastercard is a rewards card offering a tiered rewards structure. Cardholders can earn four percent back on all L.L.Bean purchases, two percent back on purchases at gas stations and restaurants, and one percent back on all other purchases. There are a couple of caveats with this structure: If you tend to buy gas at a superstore or grocery store that has a gas station connected to it, or if you eat at a restaurant within a department store or grocery store, those purchase may only net you one percent back, depending on the merchant code of that store. So, if you buy gas at Sam's Club, that might be triggered as a "warehouse club" purchase rather than a "gas station" purchase. Unfortunately, rewards are calculated on the merchant code of the store, and that label is something that's not within L.L.Bean or Citi's control. The rewards you earn from purchases get turned into "Bean Bucks" that cardholders can use on future L.L.Bean purchases, no matter whether they shop online, in-store or by phone. Cardholders can cash in their Bean Bucks on purchases whenever they want to, rather than wait for them to hit a certain threshold, as the old card required. Bucks don't expire as long as your account is open, in good standing and you use the card once every 24 months. There's no annual fee for the card, which is good, but the card's APR for purchases and balance transfers is a variable 15.74 percent to 21.74 percent, based on the cardholder's creditworthiness. This isn't a change from the previous L.L.Bean credit card, but keep in mind this APR can be relatively steep if you tend to carry a balance from month to month. Minimum interest charges are 50 cents. Balance transfer fees run to three percent of the transaction, with a $5 minimum charge. Cash advances also have a fee that's equivalent to five percent of the transaction, with a minimum charge of $10. The card also has a three percent foreign transaction fee. If you travel out of the country and use your credit card abroad a lot, then this can cost you a pretty penny. Several cards on the market don't charge foreign transaction fees, so if you're in the market for a card to travel internationally, this one wouldn't be the best fit for you. Still, if you're an L.L.Bean loyalist, this card can be a great help in saving money at one of your favorite stores.